“Some private hospitals have marked the price up by 200 or 300 per cent,” the department’s director-general, Wichai Pochanakit, revealed recently. He was speaking after his department had conducted preliminary examinations of costs and prices. Wichai said the department ordered 355 private |hospitals and importers of medicines and medical |supplies and services, as well as large drugstores, to submit by April 4 lists of their sales and purchases with prices. Only 295 submitted the information by the deadline. “We will follow up on the rest,” Wichai said. He warned that directors of any entity deliberately ignoring the order risked a jail term of up to three months and/or a maximum fine of Bt5,000. 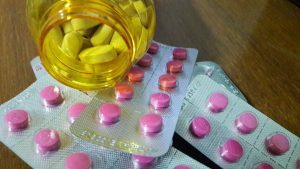 The Internal Trade Department plans to check on the prices charged for 3,892 medicines, 868 supplies and 5,286 services. Wichai said his department planned to stop private hospitals from charging unreasonable prices. Representatives of hospitals and drug firms would be “invited to discuss” the matter. “Or we may release standard prices for the public to see. Then people can decide whether private hospitals are overcharging,” he said. Wichai’s department would assist people who wanted to sue hospitals for overcharging. If convicted, hospital executives face up to seven years in prison and/or a maximum fine of Bt140,000.